Baptisms are always a joyful occasion in the life of any family whether it be for a new baby, or for an adult who has decided to follow Jesus. Whatever the age, Baptism is the symbolic start of the Christian pilgrimage through life. When a baby is baptised (also called a Christening) there is the added celebration of thanking God for a new life, and seeking his blessing on them as they grow up. When an adult is baptised, they are able to make the promises for themselves, and it is a wonderful opportunity to ‘stand up and be counted’ as a Christian. 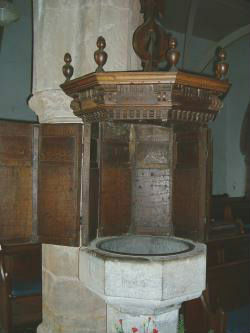 Baptisms at Marden Church, take place during the usual 10.30am Worship Service on certain Sundays throughout the year. From the Bible we understand that Baptism is about renewal; turning away from anything bad in our lives and turning towards Jesus as our Lord and Saviour. As the water is poured, we are reminded that God washes away our sins. After Baptism, we receive the light of Christ (demonstrated by the receiving of a candle) in which we are instructed to walk in all the days of our life. The baptised child/adult is formally welcomed into the family of the worldwide Church of which Jesus is the Head - He was baptised Himself. Godparents and sponsors promise to try and follow Jesus themselves, and encourage and support whoever is being baptised to be a fully active Christian disciple. Setting a good example of Christian living, both at home and at Church. Encouraging full membership and participation with the local church. Some parents prefer to let their children grow up and then make their own choice about baptism later in life. In this instance we offer a thanksgiving which might feel more appropriate. We thank God for the gift of their child and pray for God's blessing on them. This does not include the symbol of water. If you would like to talk further about either a baptism or a thanksgiving, please make contact in the first instance with our Parish Administrator, Judy Noakes (01622 831890) or click here to email. Below is a picture of Marden's seventeenth century font with its Jacobean cover.